More and more people are trying to reconnect with their food. Individuals and families alike are seeking to provide better choices for their family and friends. There is a groundswell of local food festivals, initiatives and events that continue to grow every year and Ontario is part of this growing trend. 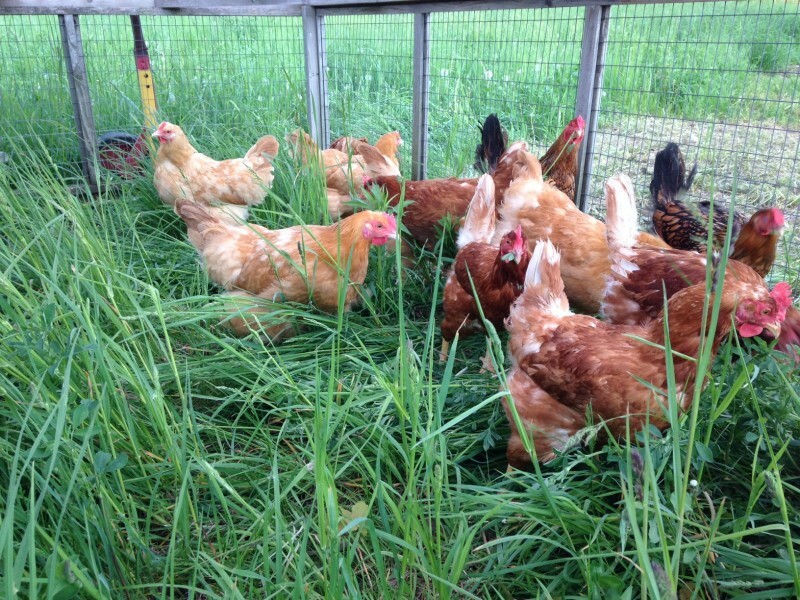 Small-scale chicken and poultry production is a big part of this movement. 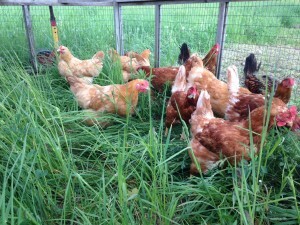 Heritage breed laying hens foraging on grass. 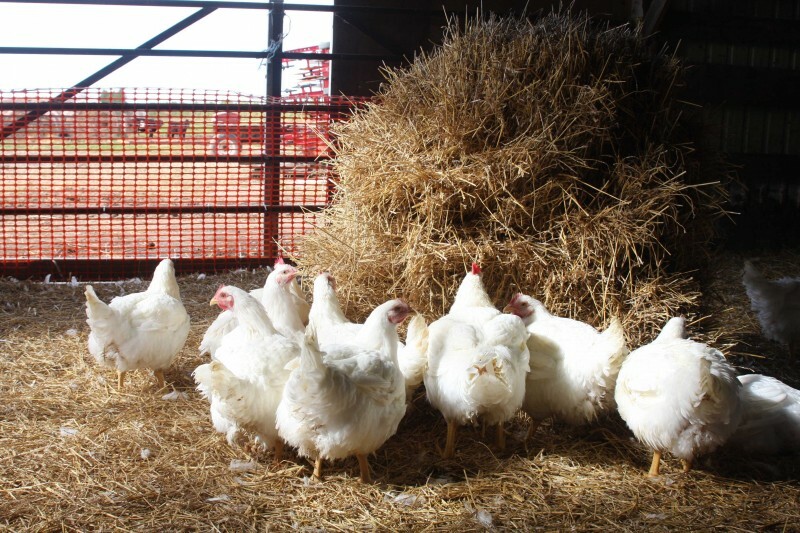 Free-range chicken (the common industry term is broiler) farming is a great way to provide an incredibly nutritious and delicious food source for your family. Small-scale egg production is also growing in leaps and bounds. With a very minimal investment, and the right assistance, you can grow your own chicken from day-old chicks to birds ready for your table in about 7 weeks. In addition, if you are able to build a portable structure, these birds can forage outside on fresh grass making them even more flavourful and packed with the Omega-3 fatty acids that are known to have positive health benefits. Even though they are raised outside, running around scratching for bugs, and other critters, these chickens still require an appropriate and balanced diet. Birds struggle to grow and stay healthy with kitchen scraps and other unbalanced feeding regimens. There are lots of options available for the grower. 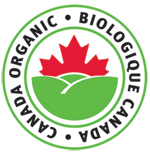 While conventional feed supplies are commonly available, more and more non-GMO and Organic feed supplies are becoming mainstream. Small-scale poultry production is growing in popularity for many reasons. This easy way of raising your own food is a rewarding experience that puts humanely raised chicken on your family and friend’s table. Give it a try!